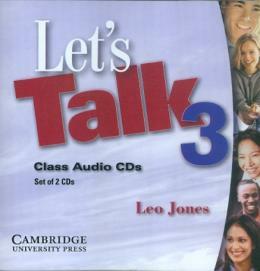 LET´S TALK helps intermediate learners of English to develop oral communication skills in listening and speaking activities on a variety of relevant topics. Interaction comes naturally as students complete clear-cut tasks. Vocabulary development activities and lists of helpful structures and expressions facilitate students performance. A lower level and an upper level have been added to provide a complete three-level series.anied by fluency activities and offer a variety of approaches to vocabulary development.through improvisations around the business themes.